One of the previous month’s biggest stories has been a tragic one – the murder of a Gold Coast police officer Damian Leeding. Shot in the head late in the evening on Sunday May 29, his family then had to make the heartbreaking decision to turn off his life support machine. The media coverage of the murder and subsequent funeral was extensive with all mainstream print and broadcast media covering the initial reports, the following progress of the officer and then his state funeral on the Gold Coast, attended by thousands. The sheer scale of the response was huge. The power of the media was used for good as all the major TV stations were asking the public to donate to the Damian Leeding Remembrance Fund for his young family left behind – more than $150,000 has been raised so far, a huge amount for what might have been a small local charitable fund. Damian had one of the biggest state funerals ever with the public moved to show their support. The event was broadcast live and online and was a topic of much interest on the social networking site Twitter. The Catholic Leader printed the homily delivered at the funeral. And other brands got in on the act to help out – the police officer’s young son even got to meet the Queensland State of Origin team. The murder itself exposed issues of police protection – a new taskforce was announced following Damian’s death. There has been a spate of violent crime in the Gold Coast so far in 2011, predominantly linked to drugs and biker gangs. In fact, Damian’s boss was himself injured following a drug raid just weeks after his death. Trying to make some sense of the increase in crime, the Queensland Police Union has linked it to the global financial crisis. But as well as the heartbreak for Damian’s family and the tragic loss for his police colleagues, the media storm surrounding the current crime spree on the Gold Coast has further negative implications. Local politicians have claimed it’s having an effect on education with foreign students cancelling their courses after seeing the recent stories in the news. The evaluating committee for the 2018 Commonwealth Games, for which the Gold Coast is a contender, have had to make a statement saying that the crimes won’t affect Gold Coast’s chances of hosting, but it’s hard to see how it won’t. And there are some indications that tourists are cancelling trips. 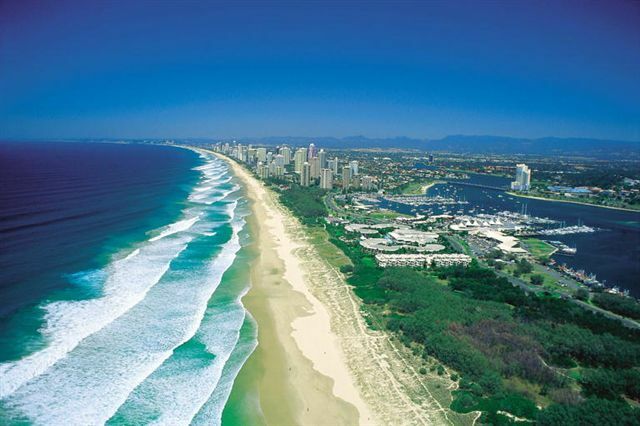 The new CEO of Sunshine Coast Destination Ltd has even said that selling his destination as a safe place to holiday could help them attract the tourists now not visiting the Gold Coast. If we want to help the Gold Coast now to try and stop these crimes happening we shouldn’t be deserting the area in its hour of need but keep visiting in our droves to keep the tourism and surrounding industry buoyant so that people can have gainful employment and less need for the drugs as a result of despair. It’s a simplistic viewpoint, but something worth considering. The media are doing their job in reporting the facts, but it would be good if they can help with the recovery as well.